To enliven the #followthefoodie experience with Team Shivangi Reviews, we visited Market Café in GK 2. With separate smoking and non-smoking seating, the manager reserved a table in both the areas, not knowing which area we will prefer, just goes to say the level of service being provided. The exclusive Gourmet It Up menu contains selected dishes from the restaurant and some of the chef’s favourite. Simple & uncomplicated – the first thing that comes to mind. 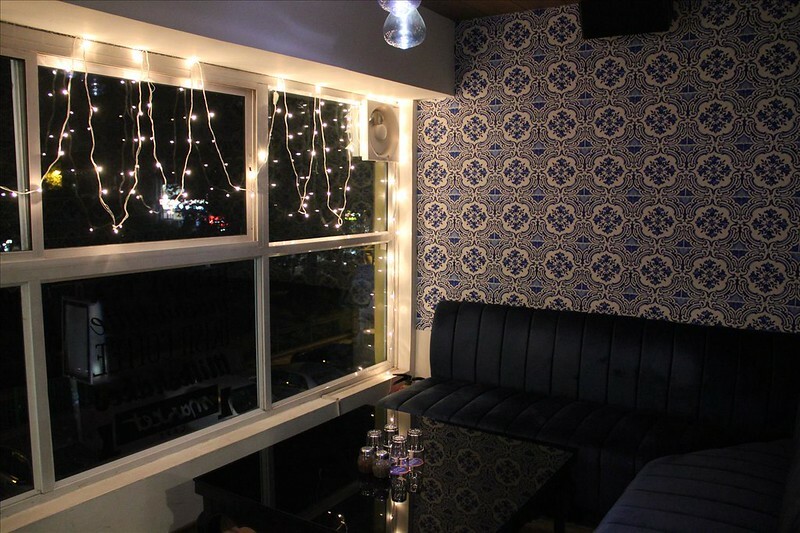 This is the kind of place where you can sit and unwind with friends, have endless drinks & good food to eat. The service is good. We didn’t have to wait too much for anything, nor had we to tell anything. Everything was being done at its pace as we relaxed. 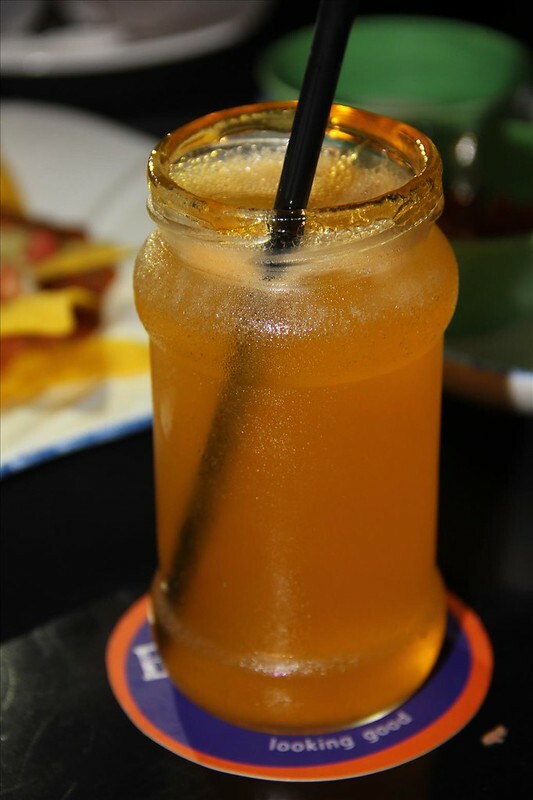 From the set Gourmet It Up menu, Jam Jar Margarita and Mocktail of the day was asked for. The former was served in a jam-jar and was above average. Mocktail of the day – Virgin Mojito, again good, was served according to our specifications. 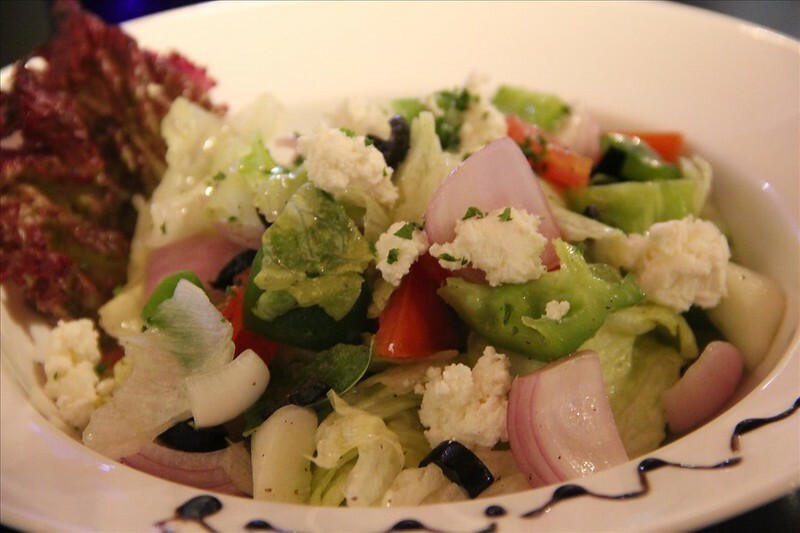 Greek Salad was fresh and tasty – the right amount of everything. For starters, Ranchero Nachos & Harissa Chicken Skewers were ordered. With homemade Nachos, the former was very refined while maintaining the simplicity but the latter was a disappointment. Though the marinade was fine, the chicken was fibrous and it lacked the necessary moisture it should have had. The interestingly named – MC BC Biryani – is a butter chicken biryani which is quite unique. 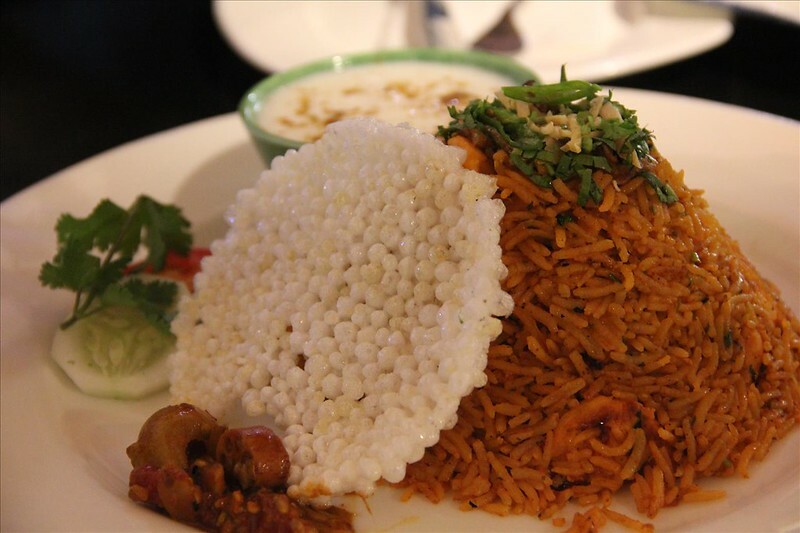 The biryani is made using butter chicken – the flavor of which was very dominant. Grilled Chicken with Rosemary Pepper sauce was great again. Served with sautéed broccoli & zucchini & potato mash, this is a meal in itself and quite flavorful too. The complaint we had with Chicken skewers was missing here and we thoroughly enjoyed the dish. 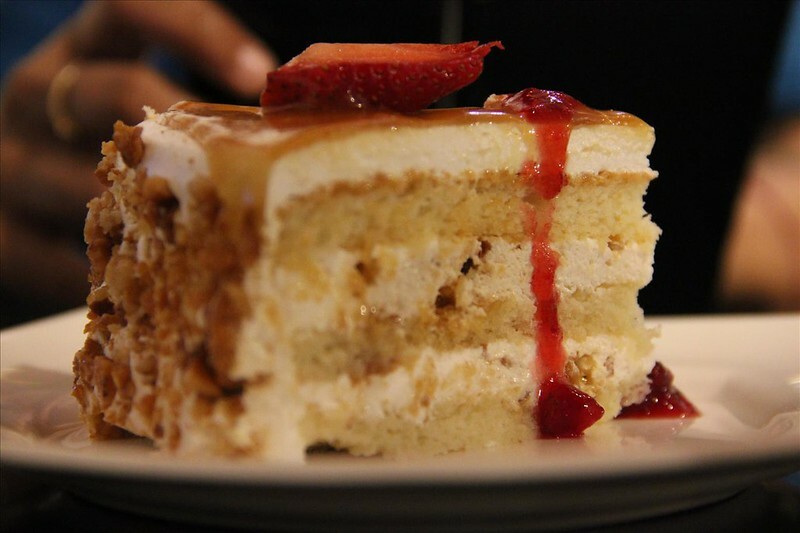 A single portion of Caramel Cheesecake, which was special for the day was ordered. The size is good enough for 2 people after all the food we have had. This was again unique in taste and the mixture of cheesecake and caramel sauce did wonders, a must try I would say. 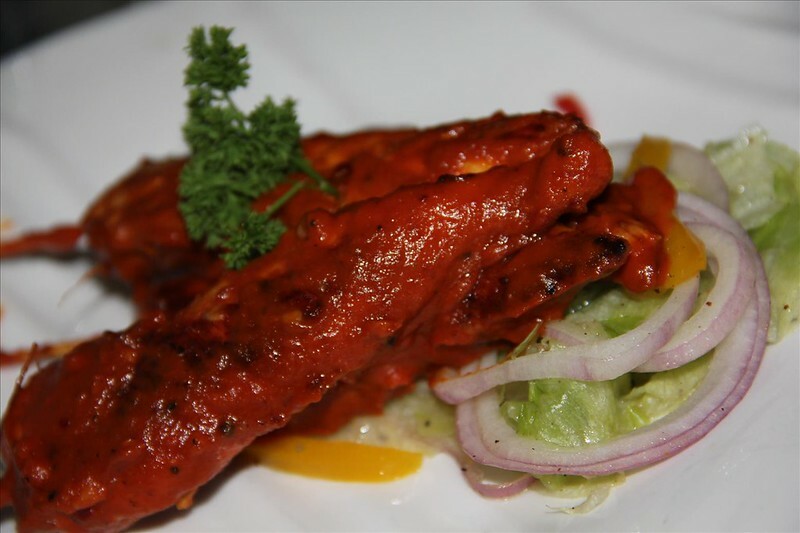 A small portion of strawberry sauce served on the side just enhanced the flavours. The place is buzzing with youngsters from the nearby areas, relaxing with friends, enjoying their drinks and socializing. The staff makes all efforts to take care of all customizations requested. They also have interestingly breakfast and quick lunch menu which are very reasonably priced.